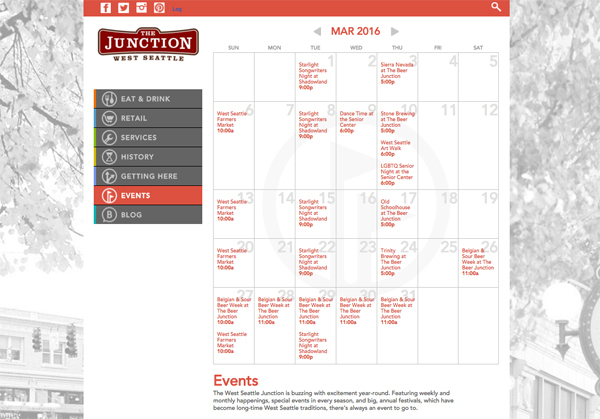 Have you stopped by The Junction event calendar recently? It’s a great resource for finding fun activities and events right here in our neighborhood. We update it frequently with event information from our local businesses, organizations, and nonprofits. Whether you want to plan an evening out, find a fun family activity, or find out how you can meet and connect with other people in our neighborhood, the event calendar has the details.